Replaced by the 1048_0B - PhidgetEncoder HighSpeed 4-Input. 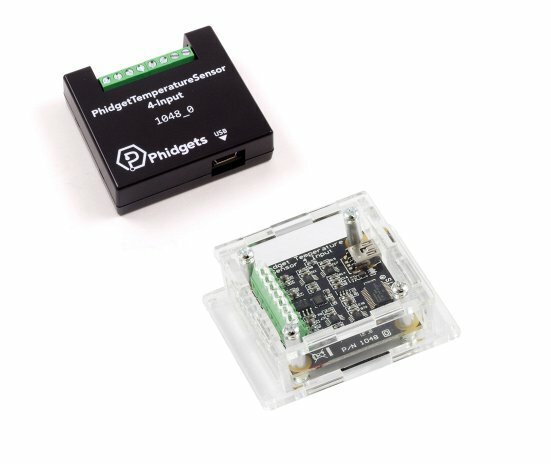 It is the exact same device, but it comes in a plastic shell enclosure and you can now choose which cables you want to have included. 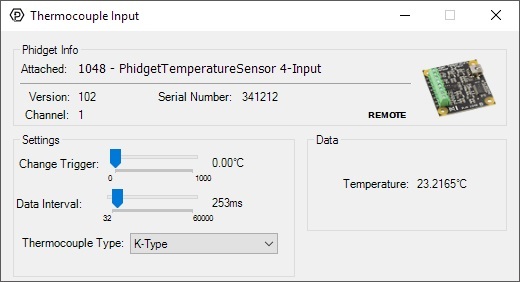 It is possible to interface other thermocouple types by converting the measured potential returned by the Temperature Sensor into Celsius using the appropriate tables; the formula and links to the tables are described in the 1048 User Guide. 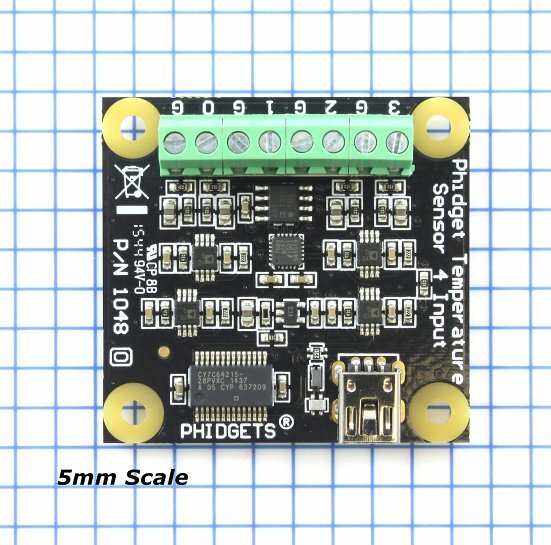 Connect the thermocouple to one of the inputs on the Phidget TemperatureSensor. The datasheet or product page for the thermocouple should tell you which wire is positive and which is negative. 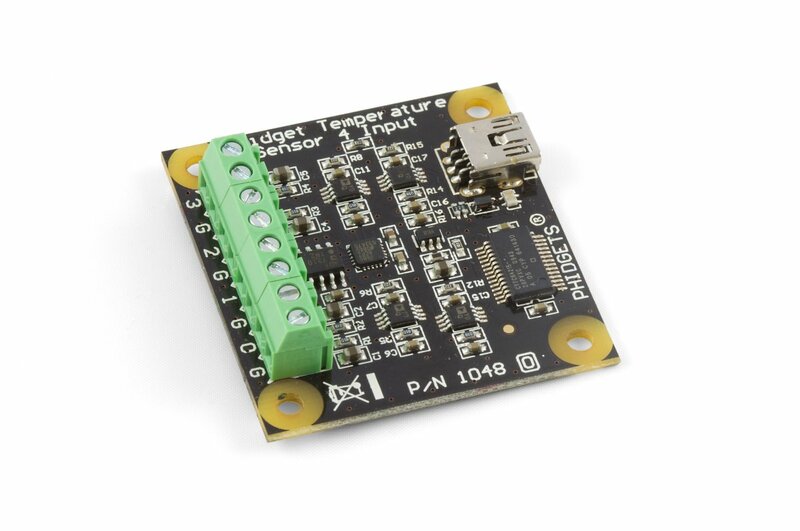 Now that you have everything together, let's start using the 1048! 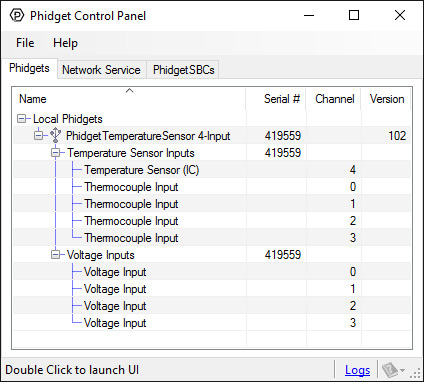 In order to demonstrate the functionality of the 1048, the Phidget Control Panel running on a Windows machine will be used. Linux users can follow the getting started with Linux guide and continue reading here for more information about the 1048.